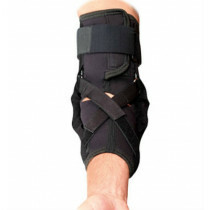 Breg's Ankle Brace Lock (ABL) provides support for mild to moderate inversion eversion injuries. Breathable lycra nylon materials. An excellent alternative to tape, the Breg Ankle Brace Lock (ABL) Ankle Brace provides support for mild to moderate inversion eversion ankle injuries and chronic instabilities. The Breg ABL features a breathable stretch nylon lycra weave that stretches comfortably to fit inside any shoe. Two no-stretch stirrup straps on the sides of the ankle brace provide excellent support/protection (like athletic tape) in a compact design. 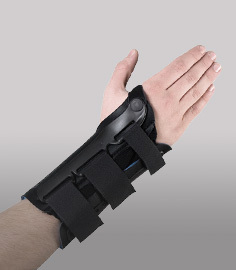 The brace is well suited for recovery from an ankle sprain, and chronic ankle instabilities. Fits inside any compact athletic shoe. No-stretch stirrup straps on the sides provide ample support against inversion and eversion. Wraparound styling for quick and easy fitting. Suitable for recreational sports use.  Universal - fits right or left sides. 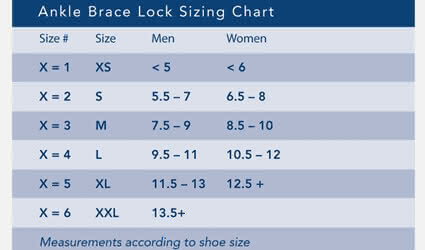 Six sizes - please see our sizing chart tab above for important measuring guidelines. Mild - moderate ankle sprains. 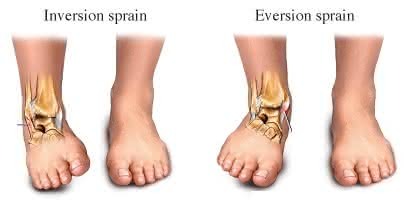 Inversion and eversion ankle movement can result in a sprain of the ankle ligaments. The Breg Ankle Brace Lock resists excessive inversion eversion to help stabilize the ankle. Breathable nylon lycra weave for comfort and performance. I bought one of these from Amazon and it was clearly used - bad! I returned it I got a truly new ABL from here - it was sealed and clearly hadn't been used before. Good design for the money Review by Gigi H.
It's a decent brace for the money - not meant to work like a lace-up but id does give my ankle enough support from rolling out on me. Comfortable to wear Review by David M.
Not as supportive as a lace-up ankle brace but it is supportive and comfortable. The straps are adjustable so that you can prevent the ankle from rolling over. Good value, good price. I have very narrow feet and ankles so when I use a typical lace-up ankle brace it digs into my skin especially around the front of my ankle. 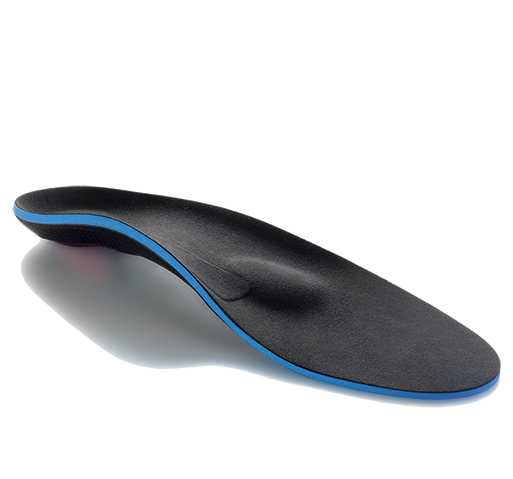 This model is shorter over the forefoot and doesn't dig into your skin especially around the front of the ankle. It has good support straps and provides good compression around the ankle.